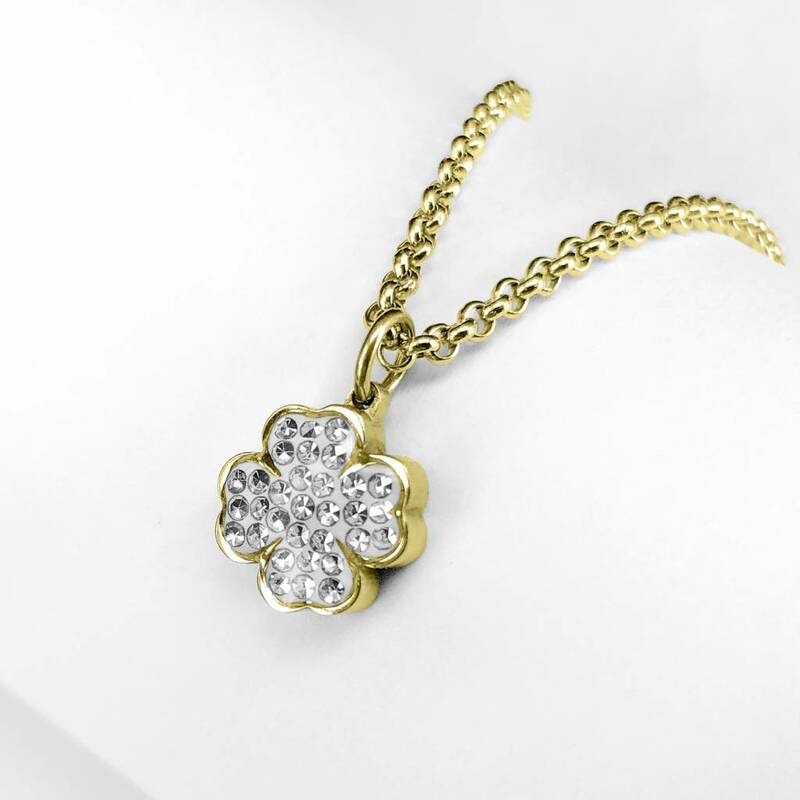 This four-leaf clover pendant is a must have! The 24 small cz stones give this pendant a very exclusive look! The indicated price is for the four-leaf clover with cz stones. Look in our assortment for a matching necklace in your size and color. This pendant is available from Saturday 24 November. This mini pendant with cz stone is available in the colors silver, gold and rose gold. Combine this pendant with mini pendants according to the latest trends.